I used buttercream icing to decorate the cupcakes. The recipe comes from the Wilton class book I have from a course I took. I haven’t really experimented with other recipes as this usually works for me. 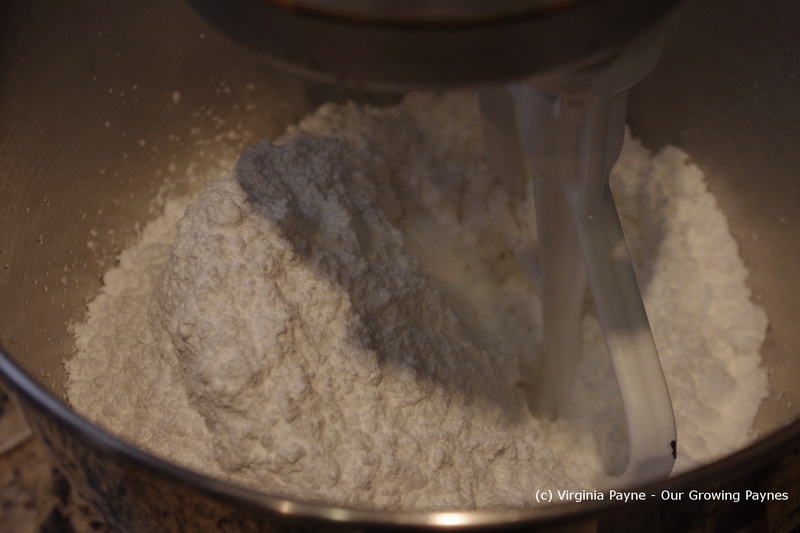 To start add 1 cup white shortening, 1 pound of confectioner’s sugar, pinch of salt, and 1 T meringue powder to a mixing bowl. If anyone is allergic to eggs skip the powder. Start mixing. The thing I don’t like about this is the cloud of sugar that puffs up! 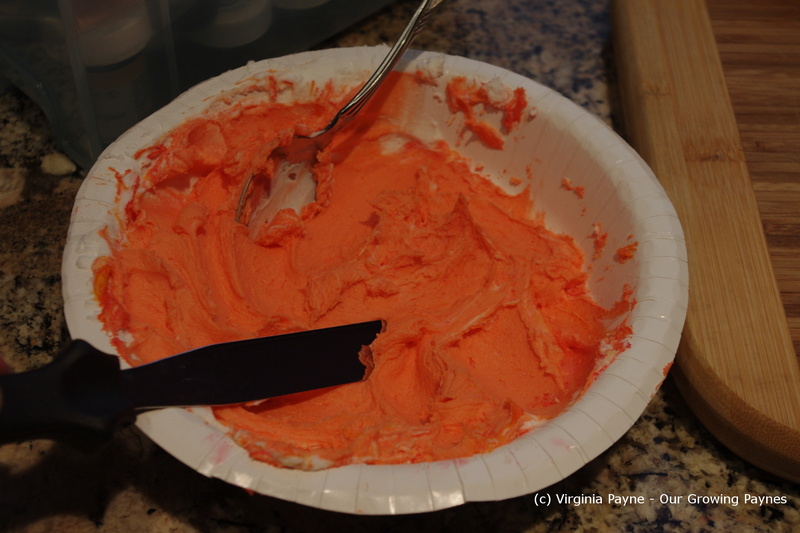 To start smoothing out the icing add 1 tsp of flavour. This is the one time I use imitation vanilla flavour because it is clear. The gradually add milk. 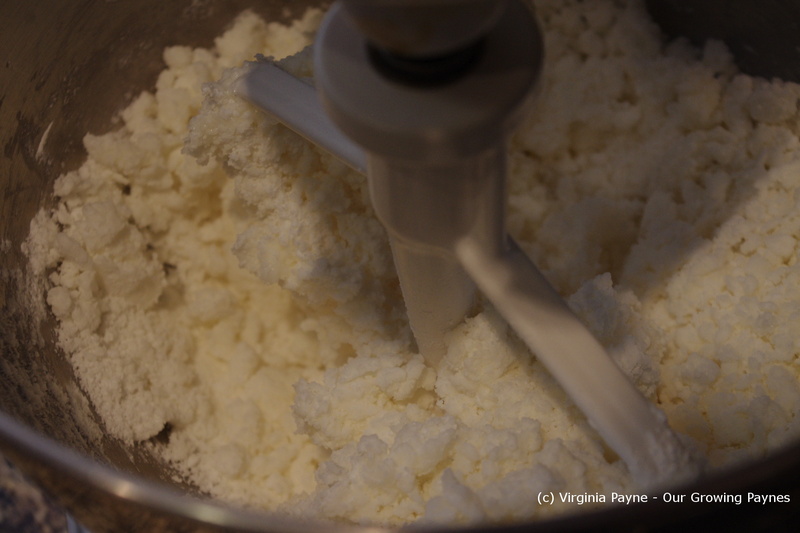 The recipe calls for up to 8 tsp of milk. This is where I screw up every time. I never put enough in so when I start decorating the icing is too thick. And then my hands cramp up!. Once you have the consistency you want it is time to colour the icing. I picked orange for the Halloween theme. I use gel food colour rather than the liquid. It works better for me. 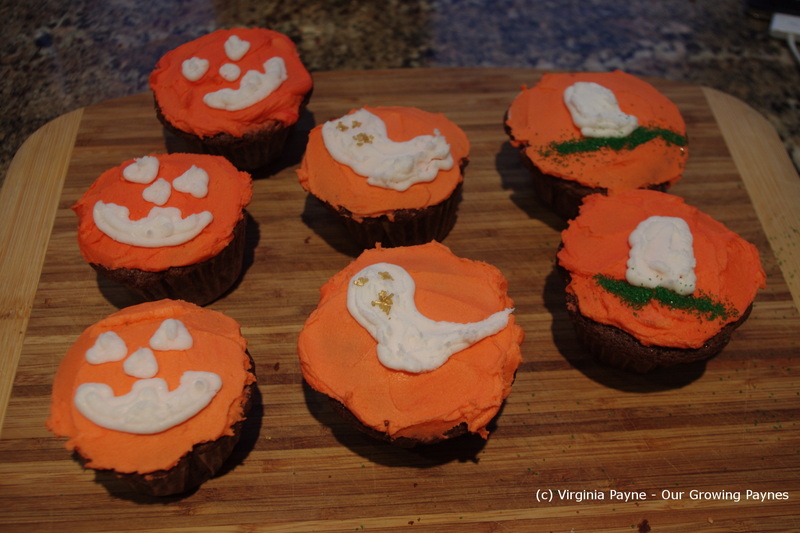 I spread the orange onto the cupcakes then used white frosting to do the ghosts, grave stones, and jack o’lanterns. When you are cleaning up the icing don’t wash it down the drain. 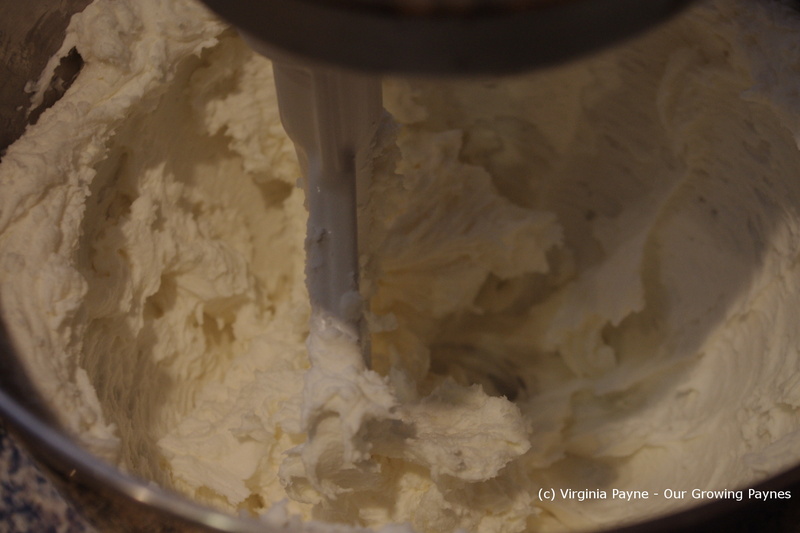 Throw as much of it away first as the fat can clog the drains if you use a lot of icing. This entry was posted in Desserts and tagged baking, buttercream icing, food. Bookmark the permalink. I had to go back and read yesterday’s too. I think you did a great job and like you said, if your kids love them, that’s all that matters 🙂 I made my son a crooked b-day cake one year and he got a kick out of it…like it was on purpose…lol! They look great!! I’m sure the kiddos will live them.